Disclaimer – yesterday was so dull I took no photos at all (I forgot). To even up the numbers I’ve put in two for today. Sorry. 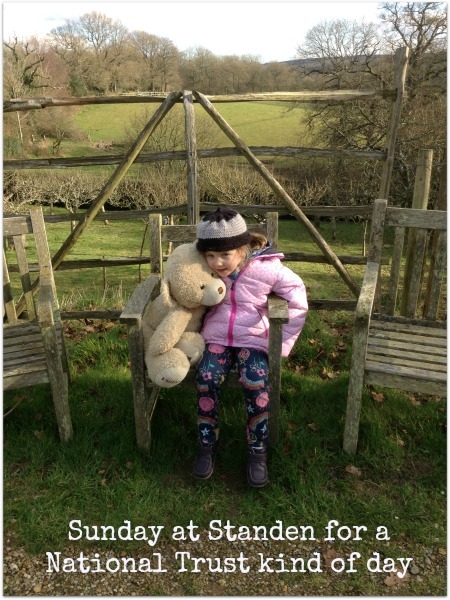 Sunday – we went to Standen near East Grinstead for a walk around, and had to take Teddy Playgroup with us. This was also the last day of us entertaining him. I think we did okay. I love living here as we have so many National Trust places so close by. 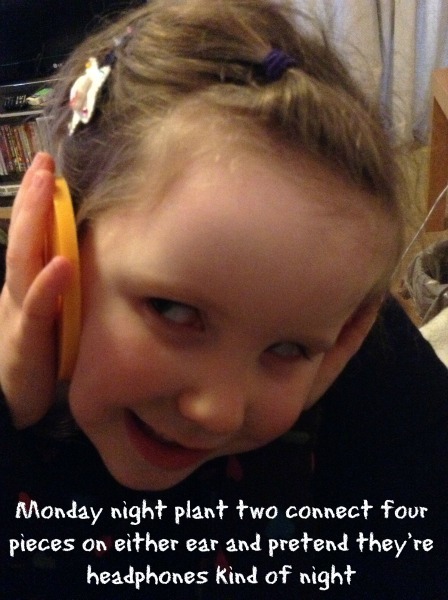 Monday – I called in sick to work today, a bad night for more than one of us. So Monday isn’t that interesting really. Wednesday – my day off and Jos came to visit too. 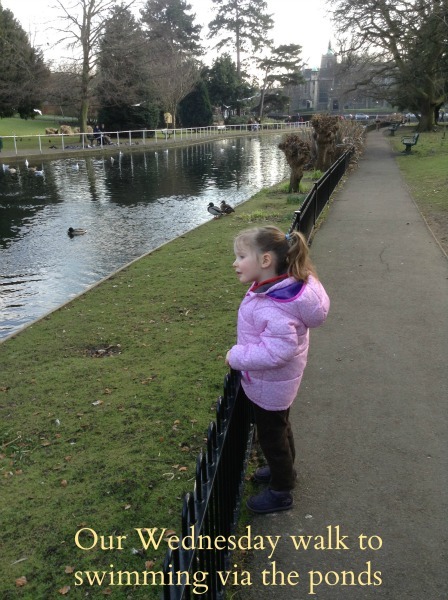 We walked to swimming again – I love walking through the park to get there – I love Carshalton Ponds. You feel a million miles from London and it’s great. Thursday – I got some good post today. 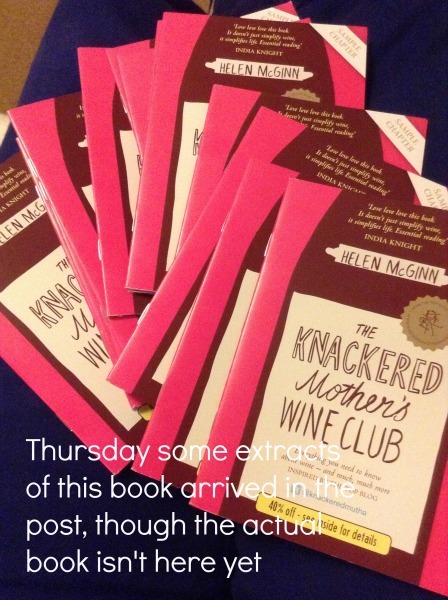 I haven’t got the finished book yet, but that’ll arrive soon hopefully… I do like my wine. Friday. Yes, nothing. Sorry. 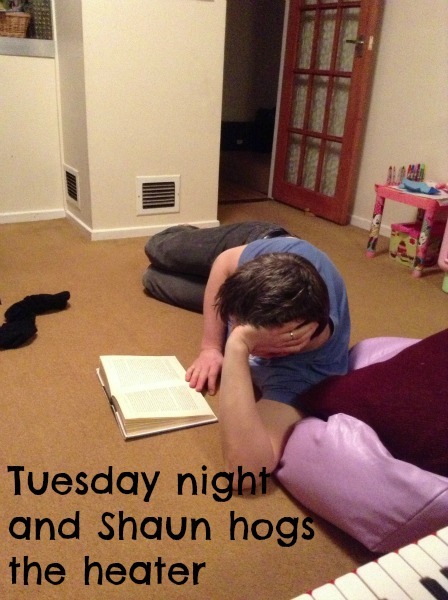 This probably sums up yesterday a lot. 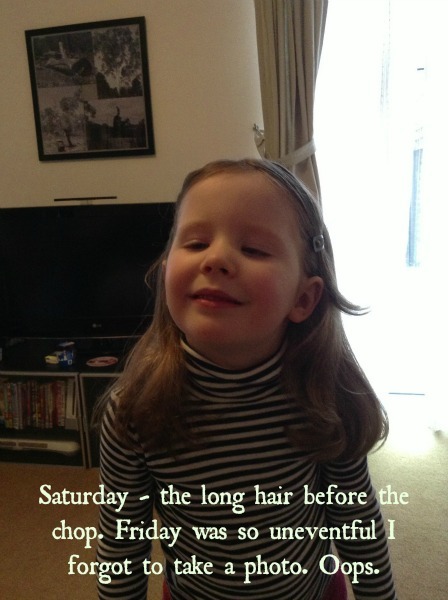 Saturday – H got her second ever haircut, so have a before and after shot instead. Aww, she looks so cute with short hair. 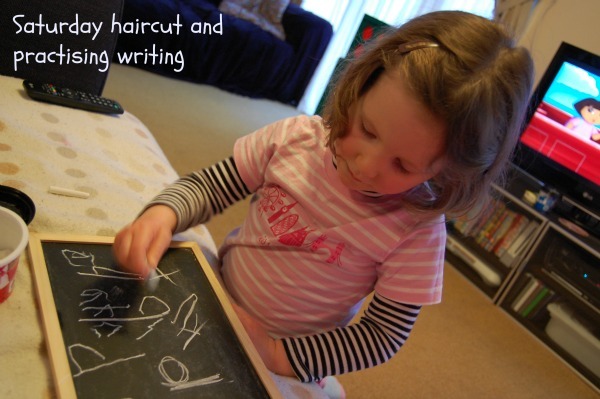 love the headphones, the haircut is so cute, and tell daddy to put a jumper on and he wont need to hog the heater. Beautiful hair, I love it short in that bob!